City of Industry: Gotta love that HK view, although I like the Shanghai skyline too. Click on the photo to see the full album. I must be the only person in the world who's never been to Hong Kong! Virtually every Westerner I know who's lived in China or Taiwan has been to Hong Kong at least once, either on a visa run or for a stopover. Every time I got the chance to go, I got re-routed somewhere else. So when the Tomb Sweeping Day holiday came up in April, I grabbed the chance to finally see the city that everybody talks about. This is a cliché, but I was amazed at how international Hong Kong was. Walking down the street, I'd hear English, Cantonese, Tagalog and South Asian languages. While Taipei has a lot of American and Japanese influences, it can feel a bit isolated at times. HK was definitely plugged into China and the rest of the world. Now that I've been there, I think anyone with an interest in economics should spend some time in Hong Kong. The city is a living laboratory of globalization. Everything good and bad about free trade is on display. On the plus side: super-efficient business infrastructure, minimal government regulation and low taxes. On the negative side: appalling pollution, a large population of poor migrant workers and huge disparities in wealth. 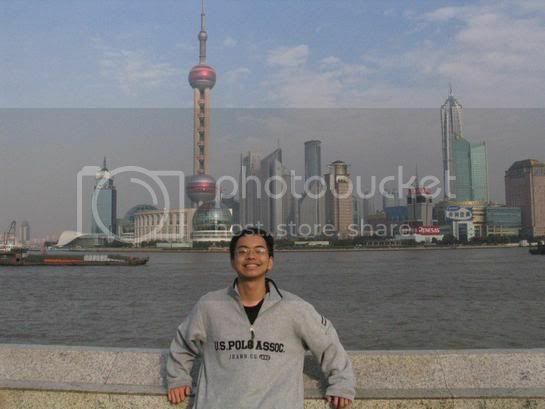 To see for yourself, I think Central shows the wonders of globalization and the Chungking Mansions is the dark side. Despite its trade-friendly reputation, I've read that Hong Kong's domestic economy is dominated by a few cartels and monopolies that are protected by the government. I guess no place is 100% capitalist, even such a business-oriented city like Hong Kong. But enough of my ramblings. Luckily, I had local friends to show me around the city. I had met them when they were visiting Taiwan and stayed at the hostel where I lived at the time. One of the hardest things about traveling is staying in touch with the cool people you meet. A lot of time can pass before I'm able to visit a friend in a far-off place. The big worry is that they'll forget me by the time I make it over. I'm fortunate in that some people find me memorable. Carol works in the TV industry and is one of my favorite people in HK. She's one of those rare types of friends that I cherish, the ones where I can have hours-long conversations that seem to pass too quickly. I'm glad she was able to take time out of her busy schedule to show the clueless tourist around. 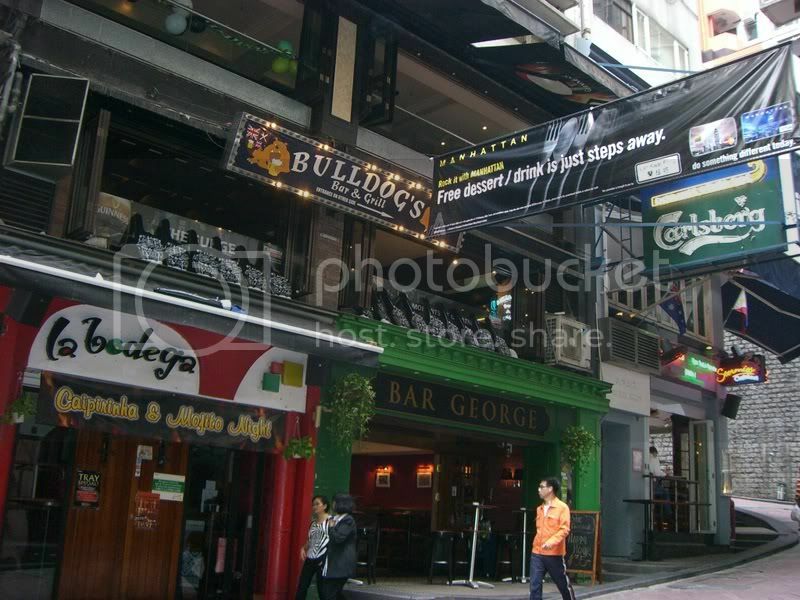 As a nightlife fan, countless people told me that I had to, had to visit Lan Kwai Fong. It's a block packed with bars and restaurants. By day, it's a laidback place to grab some foreign food. By night, it transforms into a massive street party. Girls dress up, guys dress down, and everyone grabs a drink and hits the pavement in force. LKF became my main base of operations in HK. Eating, drinking, wandering around, the hard part was tearing myself away. Carol kindly invited me to hang out with her friends at LKF for a friends' party. In a night, I made a bunch of new friends. Meeting locals is a challenge when traveling, so she really opened the doors of Hong Kong to me. Sadly, she had to leave in the middle of the night, to participate in a conference call with producers in Los Angeles. Wow, that's high-powered executive stuff, far removed from my English teacher's world. So Carol left me with her friends. Part of me wondered if she was preying on my main weakness to entice me to move to Hong Kong. But I think she was just being a good host. I came to treasure her hospitality more and more, as I realized what a fast-paced city Hong Kong is. Within Taiwan, people jokingly call Taipei "Type A," because it's the biggest and busiest city there. But it really has nothing on HK for sheer speed. Even younger people in Taipei walk slowly. In HK, old women outmaneuvered me like NBA players going for a layup. This spirit of rushing was contagious. On my first day, I found myself checking my map frequently and hurrying to the next tourist site. Then I thought, "What the hell?! I'm on vacation, dammit! I'm slowing down." From then on, the people traffic flowed around me. Moving at a languid pace gave me more time to observe the people. Although I hate shopping for clothes, I like to look at what other people are wearing. Hong Kong people seem more dressed for business. After work hours, the clothes seemed British and sometimes European. Subdued and elegant. In contrast, Taipei people tend to look either cute and colorful (Japanese influence) or ghetto-chic, like they're straight outta Sanchong. There's more of an American and hip-hop sensibility. An unexpected discovery was finding lost treasure in Hong Kong. After Carol and I took the Star Ferry from Central to Kowloon, we stumbled into a DVD shop. "Is there any movie that you're looking for?" she asked. One movie instantly popped into my head. "Can you ask if they have Yi Yi?" "What's that?" Carol asked, surprised. "It's a Taiwanese movie about a year in the life of a family in Taipei." I got more excited as I went on, because I love to talk movie trivia. "When I tell my Taiwanese friends that I saw it on pirated DVD in China, they always ask me if they can borrow it," I explained. "But I didn't bring it with me when I moved to Taiwan." Carol turned to the clerk and asked in Cantonese whether they had the movie. He reached under the counter and came up with the Yi Yi DVD! "Hell yeah, baby! Carol, you're awesome," I gushed. Later, I met up with some other local friends for dinner. When I was still living at the hostel, there happened to be a bunch of travelers from Hong Kong visiting Taipei for different reasons. Some were doing internships, one was doing modeling work and another was treating herself to a trip after graduating from college. 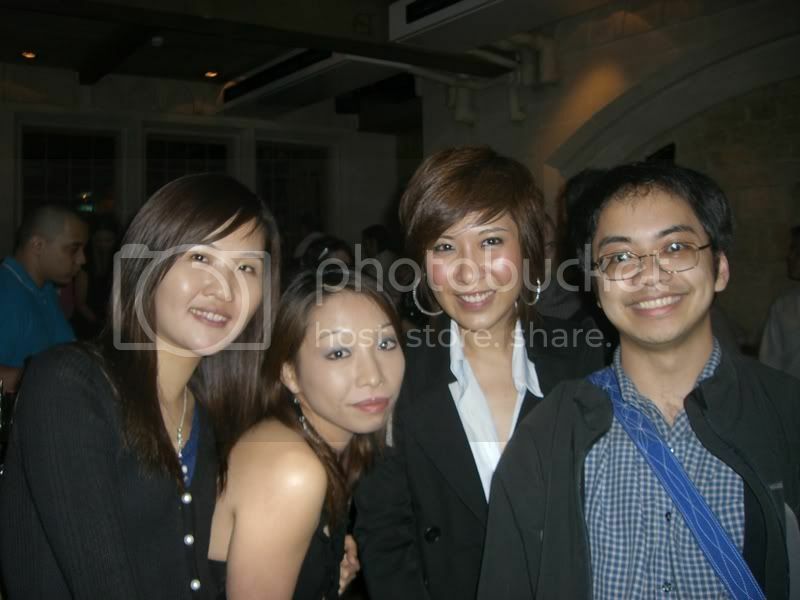 I met up with Jolly and Kelvin and we started looking for a good restaurant around Lan Kwai Fong. We were going to eat at a restaurant that was listed in my guidebook, but one look at the menu gave us sticker shock. So we found another cheaper place to get food. Jolly and Kelvin share a laugh. It was my "discovery" for Hong Kong. The restaurant had traditional Chinese design and architecture, and practically everything was made of ornate wood. I'm usually good with collecting business cards of places I like, but I didn't in this case and I can't remember the name. I'm definitely going back when I visit Hong Kong again. This guy is good at dancing. One of the first things I did when I decided to go to HK was to e-mail Bruce and tell him that I expected to storm the dance floor with him again. He took me to Club No. 9, which he thought was the best hip-hop club in the city. It was a bit crowded that night, a good sign of its popularity. Bruce and I managed to make space for ourselves by dancing hard and breaking out the moves. The DJ's helped by supplying hot remixes of songs, wringing the last bit of rump-shakin' energy from each one. Better music makes me a better dancer and vice versa. A projection screen showed the music videos for the songs as well. This was a revelation for me, since I haven't watched MTV in ages. I find myself dancing to songs and not even knowing who the performers are anymore. Clubbing in HK filled the gap. Overall, it was great trip to a charged-up city. I'm already wondering when I can visit again. By train: From the airport, you can take the Airport Express to either Kowloon or Central. HKD$100, 23 minutes from airport to Central. By bus: Cityflyer Buses with convenient luggage racks leave the airport frequently. There are two buses that are most useful for travelers. 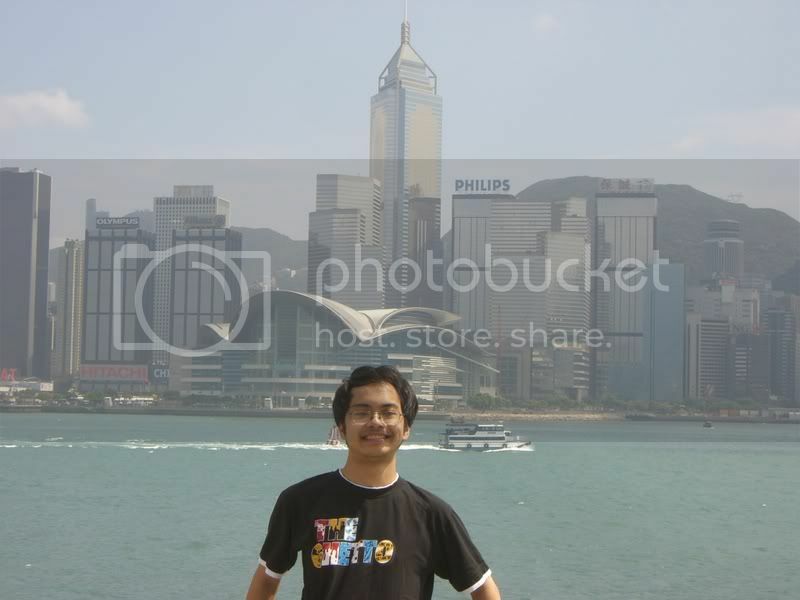 The A11 Bus goes to most destinations in Hong Kong Island. The A21 Bus serves many spots in Kowloon. HKD$40, about 1 hour. The frequent haunts of budget travelers are the Chungking Mansions and Mirador Mansions in Kowloon. They're both really dilapidated buildings with loads of hostels and guesthouses. If you're simply after the cheapest bed, I've heard that Travellers Hostel has it (but you get what you pay for). Yes Inn is my favorite hostel, and I've stayed there many times. I've recommended it to all my friends, saying it's the cleanest hostel in Hong Kong. There are also several guesthouses around Paterson Street, near Causeway Bay. Good for people who prefer to stay on Hong Kong Island. Here are a few guesthouses in the area: Wang Fat Hostel, Alisan Guest House, Causeway Bay Guest House, Noble Hostel, Marlboro Hostel. Hong Kong is a major financial center, so it's easy to find places to exchange money. It's hard to find good deals, though. Avoid changing money at the airport, the rates are terrible. The best method there is to use an ATM machine. My favorite place is Wing Hoi Money Exchange. I consistently get better rates through them than anybody else. 58 Nathan Rd. Tsim Sha Tsui. From the front of the Mirador Mansions, go through the front entrance and go left. Then turn right, and walk straight to the back of the building. The Hong Kong Tourism Board operates Cultural Kaleidoscope, a program that offers Chinese culture classes. Most last about an hour and are free or reasonably priced. Sample offerings are feng shui classes, kung fu demonstrations and rides on a traditional junk boat. Call 852-2508-1234 for info and reservations. 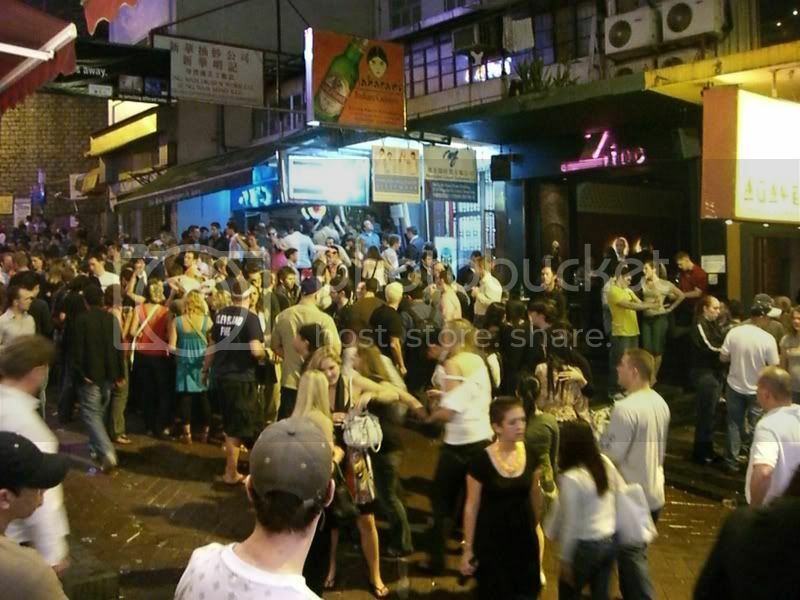 Lan Kwai Fong in Central is the most popular place for foreigners. For a more chilled-out place to drink, head to Knutsford Terrace, in Kowloon. The bars there are bigger and nicer than in LKF, plus they have outdoor seating. Directions: Take the MTR to Tsim Sha Tsui station. Go out of Exit B1. Walk north on Nathan Road. At Kimberley Road, enter the Miramar Shopping Centre. Follow the signs to the "Knutsford Steps." The On Hing Building is a hotspot for clubs, with like 4 clubs in one place. It's at 1 On Hing Terrace in Central. Billion is the most high-class club. Sugar and Cliq are more popular with the younger crowd. Hong Kong is one of the few places in Asia where I still buy plane tickets through a travel agency, rather than booking on the Internet. It's not a hub for budget airlines (but Macau is). Directions: Take the MTR to Tsim Sha Tsui station. Go out of Exit B1. Walk north on Nathan Road. At Kimberley Road, enter the Miramar Shopping Centre. Find the elevator for the Miramar Tower. It's on the 18th floor. Hong Kong is a popular place to get visas for China and Taiwan, so I've included the info below. For China visas, lots of travel agents and guesthouses can get them for you. If you're in a rush, the fastest service is at the China Travel Service counter in the HK airport. Processing time is about 5 to 6 hours. The downside of using "official" visa providers like China Travel Service is that you often only get a 30-day visa. You have to go through a gray-market visa agent if you want a longer visa. Ask around at your hostel for who's reliable. It's likely there'll be at least one foreigner there who's living in China and visiting Hong Kong on a visa run. They can tell you who's good. Wan Chai, Hong Kong S.A.R. Directions: Take the MTR to Wan Chai station (station map) and go out of Exit A5. You'll come out on an elevated walkway. Follow the signs to Immigration Tower. At Immigration Tower, turn right to Central Plaza, then right again to Fleming Rd., crossing elevated walkways. You'll see signs above your head at each stop. Cross under the road overpass to "Chinese Arts & Crafts HK Ltd." That's the China Resources Building, it's #23 on the station map. For a Taiwan visa, go to this place. Since Taiwan is not officially recognized as a nation, the consulate has to have this fake name that makes it sound like a travel agency. Directions: Take the MTR to Admiralty station (PDF map). Go out Exit B. Turn left and walk up the stairs into the Lippo Centre, it's #27 on the station map. Once inside, go left. Go to the second set of elevators, behind the ones that you first see. Take the elevator to the 40th floor and go into the visa office to the left. Visas: You need to provide 2 photos. There is a photo machine on the 4th floor, but you have to go to the the ground floor and take a different elevator. Alternatively, there is a photo machine in MTR Admiralty station. As you exit the turnstiles, look for the Citibank ATM machine. The photo machine is next to the ATM. When you get your passport back, it might have a long white slip of paper instead of a proper visa. It's a paper that entitles you to a visa. When you arrive at Taiwan Taoyuan International Airport, you need to go to the visa office before you go through immigration. An official will take out the white slip and put a proper full-page visa sticker inside.